Dental Implants count as a revolutionary creation in the world of restorative dentistry. They are the preferred solution for missing teeth and the closest alternative to your actual teeth. At Bayview Village Dental Specialists, Dr. Braun can take you through all the details of this somewhat lengthy, yet completely worth it procedure. 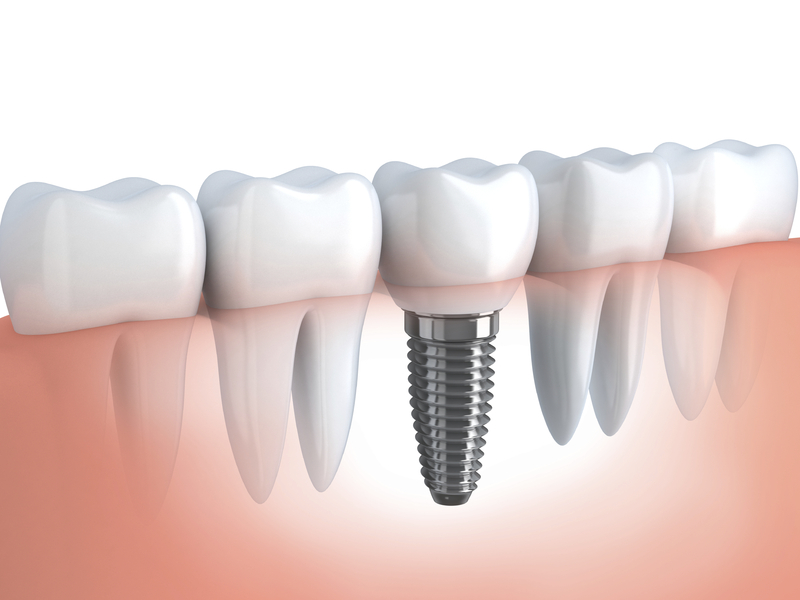 Dental Implants are small titanium screws, surgically placed in your jawbone in place of the missing tooth. They act as artificial tooth roots that can later on hold a crown, bridge or denture in place. However first, our highly qualified periodontist will have to make sure that the implant has healed nicely in your jaw and the bone has grown entirely around it, holding it firmly in place and making it as stable and secure as an actual tooth root. Dr. Braun performs the complete dental implant procedure at our Bayview Village Dental Specialists office. Starting with a thorough examination to determine whether dental implants are right for you or not and ending with strong, durable and secure teeth that are virtually indistinguishable from your natural teeth, the successful results will surely leave you with a healthy, beautiful smile that lasts for a lifetime. Contact Bayview Village Dental today, to book an appointment!